"Launch like CRAZY, and perfect later"
I dove into the creative process for the PURE JOY of it. No expectation of outcomes, no pressure to perform, simply CREATING from my essence because that is who I am. On my path to mastery. This is how I approach entrepreneurship now. Lately I’ve been primarily in my Creator Archetype NON-stop. 2. I focused on my SERVICE to the WHOLE. Daily surrender of my plans to the Divine Will and being radically intentional about every single decision. 3. I kicked perfectionism to the curb and took an inner stance that when I serve ONE, I serve the WHOLE. 4. Instead of chasing numbers, I began focusing on building lifelong ASSETS. Every course I teach, I see as an asset building and an incredible opportunity to up-level the experience for my students. Every single time. 5. I let go of the entrepreneurial race and relaxed DEEPLY into my life. I began living moment by moment, radically open to what life brings me and appreciating everything. I’ve never been more FOCUSED and committed to my path. I also feel the sense of URGENCY of my Dharma, with the acceleration of Ascension and Awakening on our planet, which calls me forward each day to show up as my best self and serve others. CONNECT WITH THE CREATOR WITHIN. CREATE FOR THE JOY OF IT. 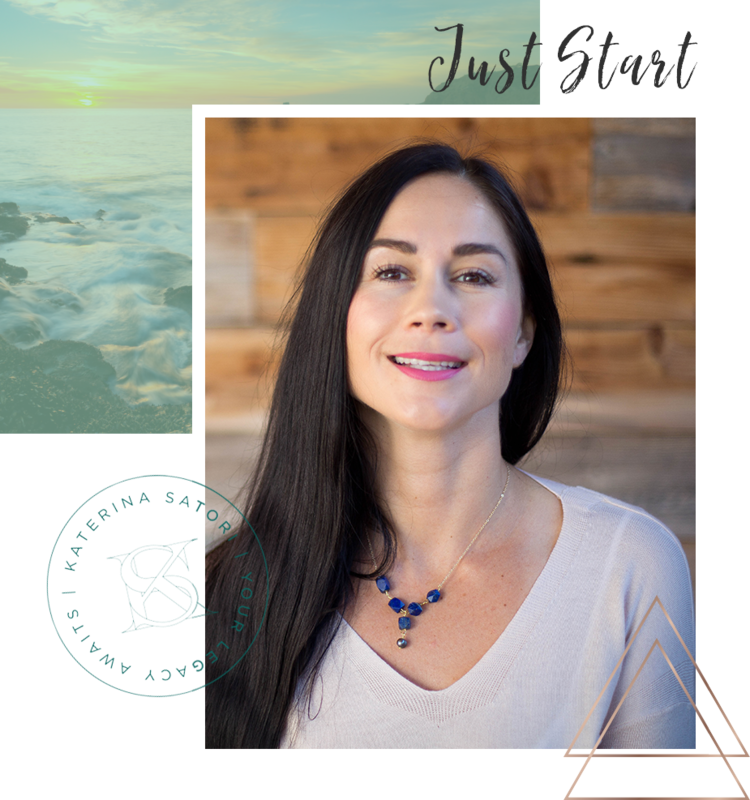 Katerina Satori is an internationally acclaimed spiritual teacher, business and thought leader, and an entrepreneur. She dedicated her life to the service of humanity – supporting her students and clients in activating their highest potential and creating a rich legacy. “It doesn’t matter what cards life gave you to begin with. Rules are the same, but the skills of the players are different. “Learn the game and master your life, no matter how humble your beginnings. You always have a choice.”, says Katerina, who only had $3 to her name when she arrived to the USA at 23 years old, knowing no one, and only having trust in herself and faith in a Higher Power.